Our goal at Mountain States Building Products is to look beyond the functional basics of windows, doors and hardware, and identify building products that will capture the essence of your home. For over a decade, Mountain States has been uniquely positioned to serve Colorado’s elite builders and homeowners. We are a family owned and operated business that focuses on providing personalized service you won’t find at larger corporate dealers. We give great attention to detail and will help you through the building process from start to finish. We consider both design and function in order to assist you in finding the perfect custom or replacement windows, doors and hardware for your unique space. MOUNTAIN STATES BLDG PRODUCTS is rated 5.0 out of 5 by 7. Rated 5 out of 5 by Brad101 from This dealer went beyond my expectations. I was impressed with their showroom. I was able to compare the different types of Milgard products first hand. Rated 5 out of 5 by CK5280 from A great product and great service. I am very pleased with the quality of the product, the customer service and the installation. Everything went smoothly and right on schedule. 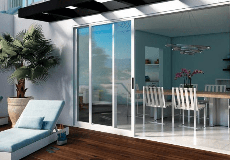 I especially enjoy the SunCoat MAX UV protection as well as the ease of operation of the windows and the sliding door. My house was noticeably cooler during the summer months and is much warmer this fall. I was pleasantly surprised at how much quieter it is too. Rated 5 out of 5 by bellmaj from Professional and thorough I was looking at windows but was unsure if it was in the budget this year. The Mountain States rep took a lot of time to explain my options, even though he knew he might not get the quick sale. When we were ready, he visited and discussed all the vendors and prepared several quotes. I never felt rushed to make a decision or pressured to work with him. We are very happy with the product and I would definitely recommend Mountain States! Rated 5 out of 5 by Brad101 from The sales representative was very knowledgeable answering all of my questions. I was impressed with the dealer's showroom. I was very impressed with Mountain States Building Products' showroom. Being able to compare different windows side-by-side was important to me and my wife. I will definitely recommend Mountain States to my friends. Rated 5 out of 5 by RMedema from Mountain States has been a reliable resource for me and my customers I have found the MountainStates has maintained a professional environment for me and my customers and has consistently been a price conscience advocate for them as well. I look forward to working with them in the future.